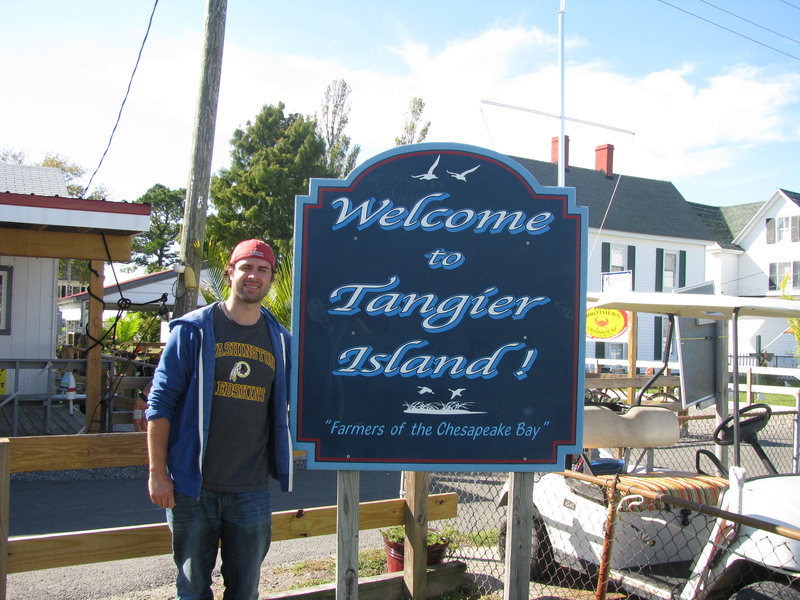 I was actually going to name this post “FROM EASTER ISLAND TO TANGIER ISLAND” and not only because I’ve recently visited both, but because Tangier Island, of the Virginia portion of the Chesapeake Bay, might as well be located on the other side of the globe. 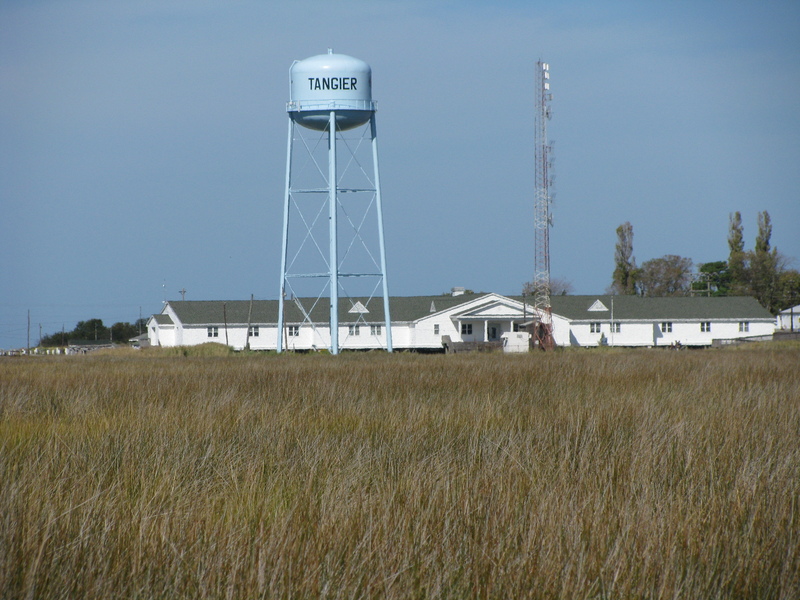 If you want to escape to a truly remote location for one day, Tangier Island is your answer (and it’s a doable, if somewhat lengthy) day drive from all points near D.C., Baltimore and Philly. 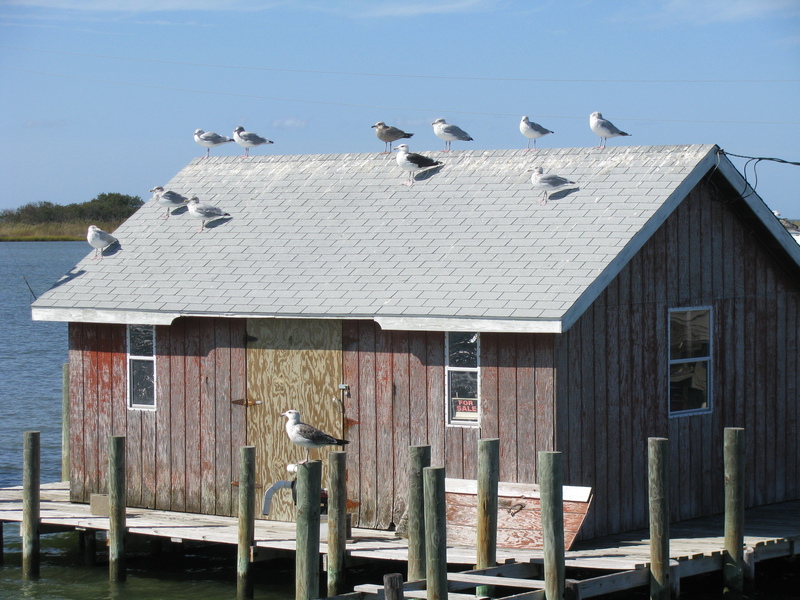 The island is located 12 miles off the coast of Crisfield, Maryland – which happens to be the southernmost outpost of Maryland (though the southernmost point lies in the marshy wetlands south of town). 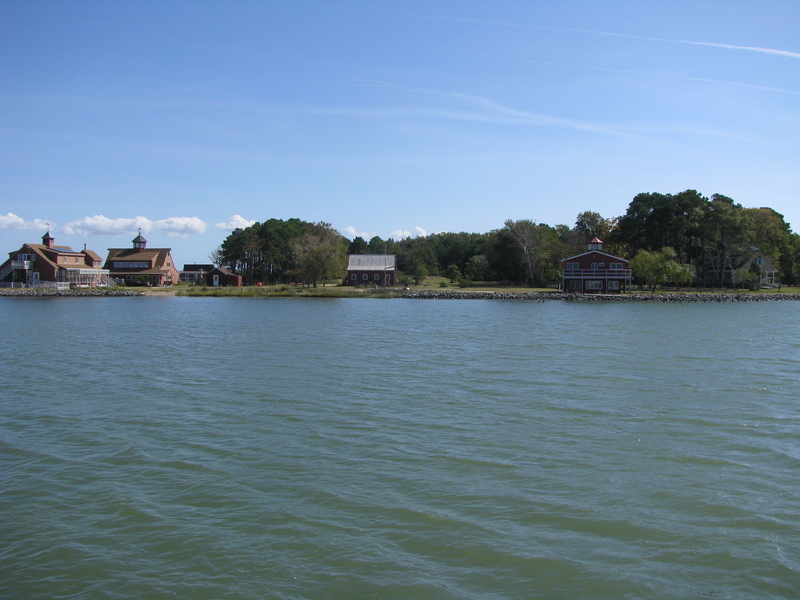 You can also take seasonal boats from Reedville (on the Virginia Peninsula) or from Onancock on Virginia’s Eastern Shore. 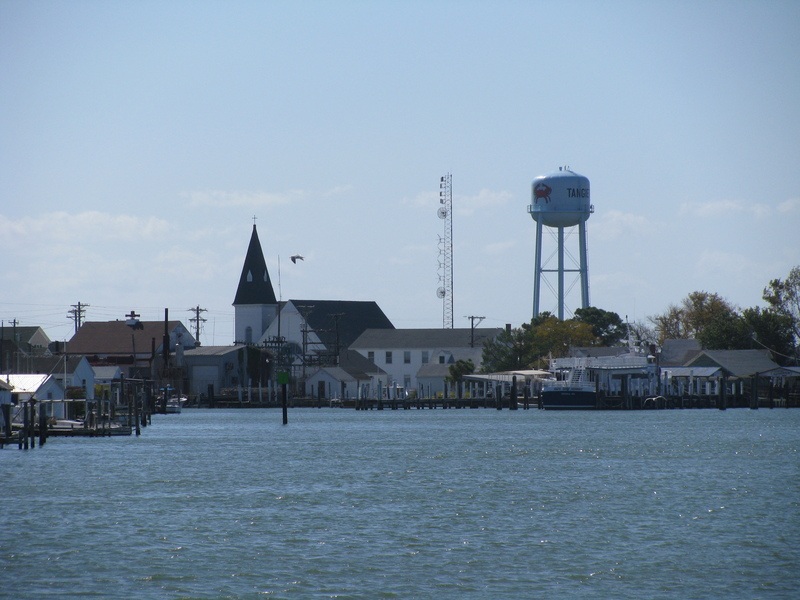 Crisfield on October 15 is about as quiet as they come, as this was the last weekend day of the season for cruises to Tangier aboard the relatively comfortable 300-seater Steven Thomas (there were about 30 or so going to the island on this day). 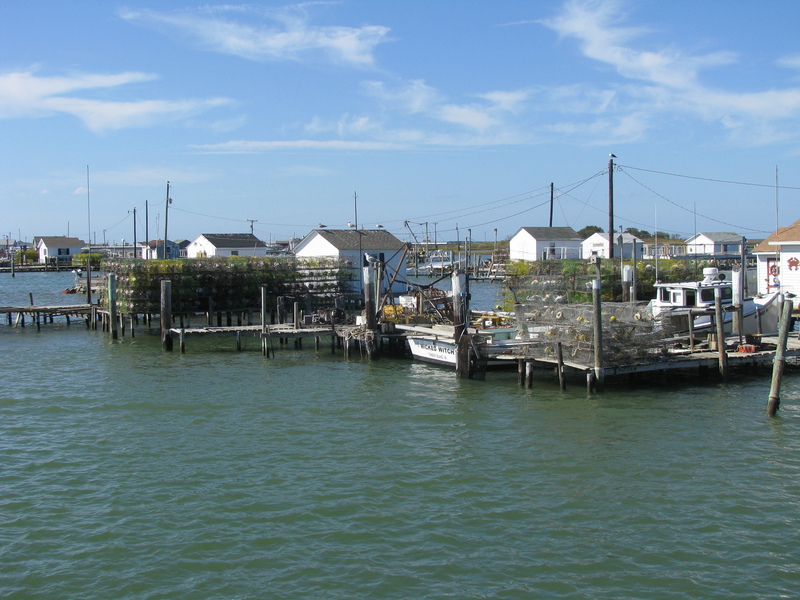 In the offseason, one can take the regular and semi-regular mail and cargo boats over to Tangier or nearby Smith Island (which belongs to Maryland). Tangier’s been (theoretically) settled since the late 17th century, though it’s history is somewhat in dispute. Indians lived on the island way before Captain John Smith “probably” discovered it, but (despite what the historical marker in town says) he likely didn’t give it its final name, initially dubbing them as the Russel Isles. Early maps point to the spelling “Tangear” and, yes, it’s possible there was some inpired connection to Morroco’s Tangiers here, but it does seem unlikely. Wherever the name came from, the island now boats around 500 people, four restaurants, a handful of B&B’s, a small airstrip and survives almost exclusively on fishing, crabbing, oysters and boatloads of curious tourists. A day cruise gives you very little time on Tangier (roughly two hours and fifteen minutes), but it’s your only real option for a day trip. 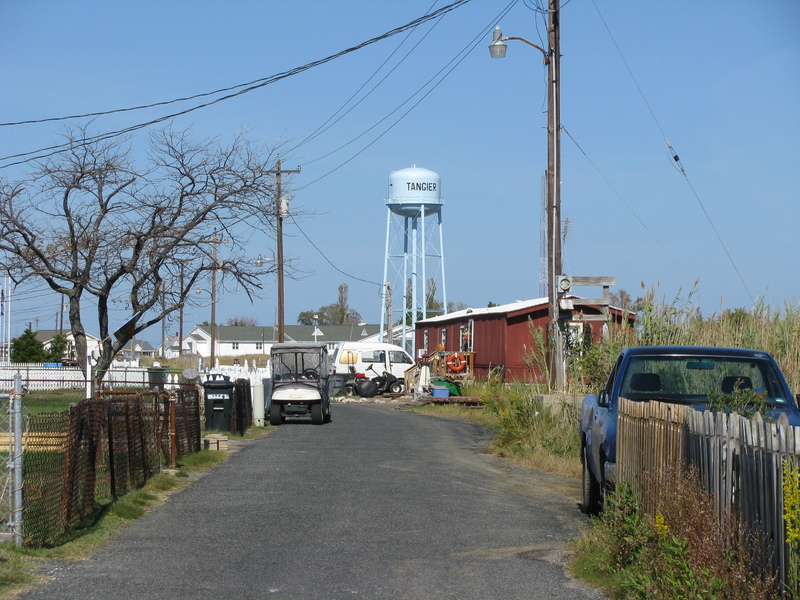 Local tour guides wait near the dock with their golf carts for a 10-15 minute ride around the Tangier “loop”, pointing out they key buildings and history. These tours cost $5/pp and is an easy way to meet a local and ask questions and is vital if you want to at least see most everything on the island on a time crunch. After the tour you’re given a few options for lunch, and I mean few. 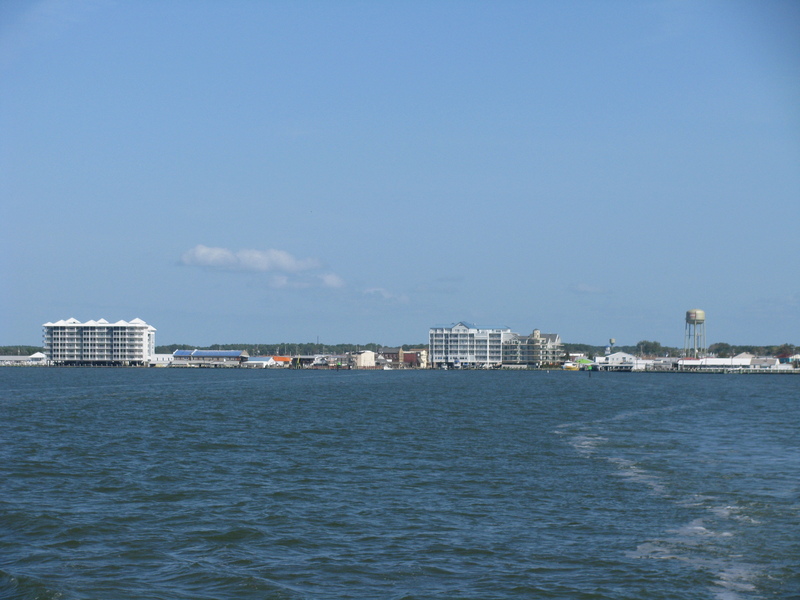 Basically you get to choose between two restaurants – the Chesapeake House or Lorraine’s, the prior offering homestyle cooking and the latter a more traditional style diner (the well-liked Fisherman’s Corner was closed for the season). 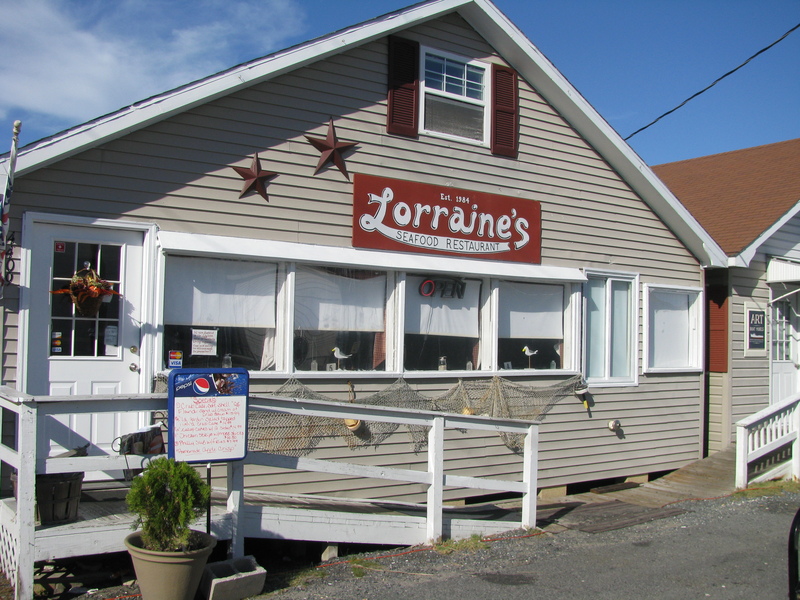 We chose Lorraine’s and while they were out of blue crab (hard to believe! 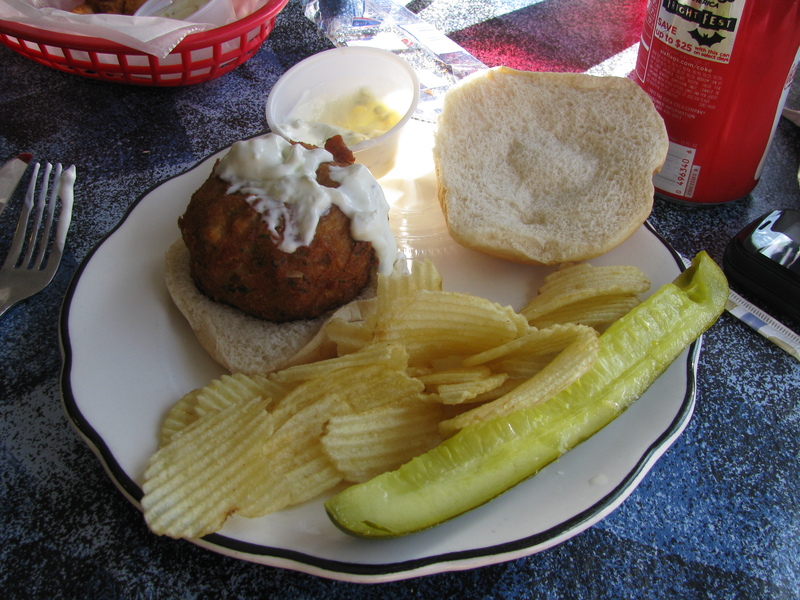 ), we got a very good crab cake sandwich special which included a yummy cream of crab soup to start. Our waitress hustled through the service, which we appreciated seeing as precious time was ticking. One of the most eye-catching things on Tangier is the graves. 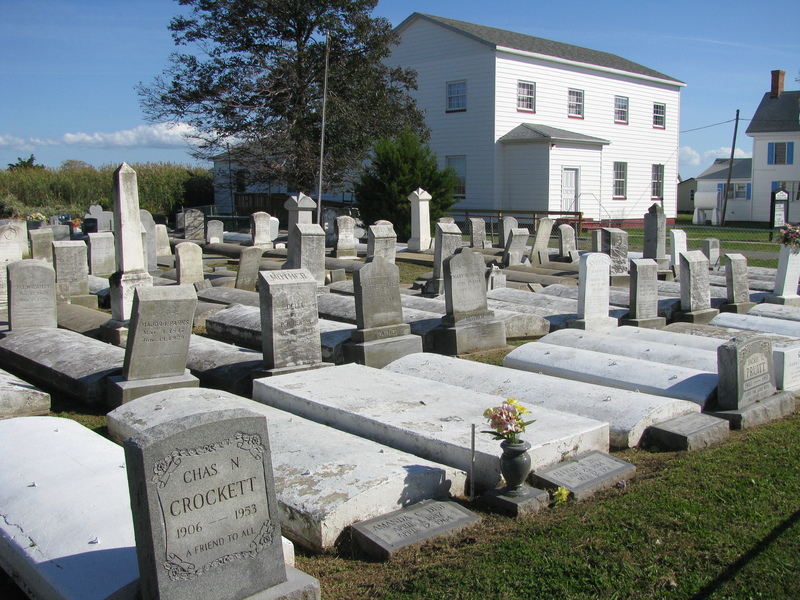 Yes, the church graveyards are stacked and overcrowded, but that can be fairly typical of smaller towns. Here, some of the graves make their way into people’s front yards. 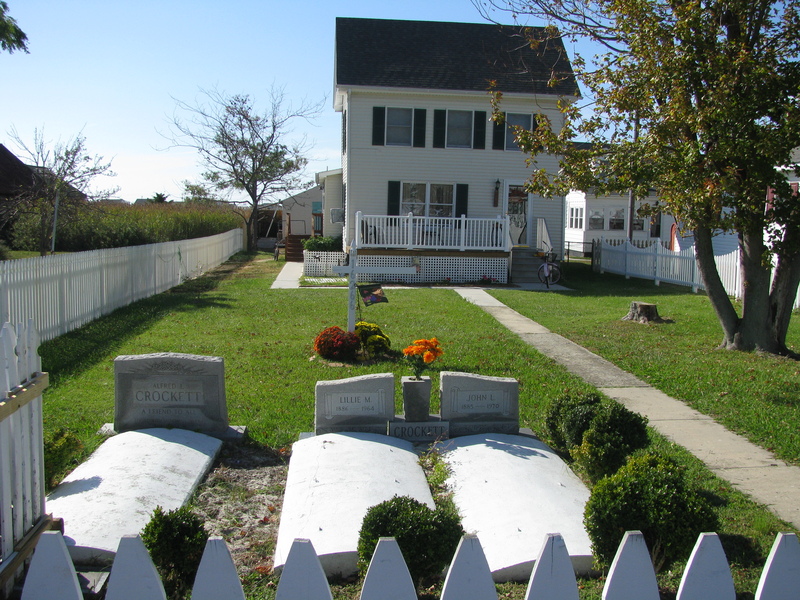 While family property burials are an old tradition in some areas of the region, nowhere is it more apparent on this island, where shortage of space caused family members grave sites to be located much closer to the house. New home burials don’t occur anymore, but residents are left with whatever graves currently exist in their yard, ancestors or not. A tour around the main road takes you past a handful of gift shops (some closed, some open) where we purchased a book on the history of the place. Tangier even has a (very) small one-room “library”, which more or less facilitates book trading on the island. 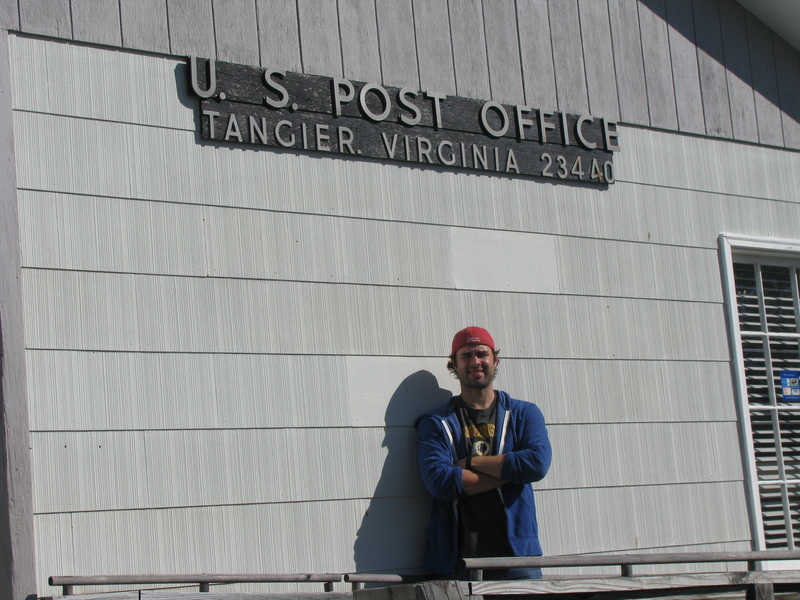 There is a post office as well, though no hand cancels were available for us on a Sunday. 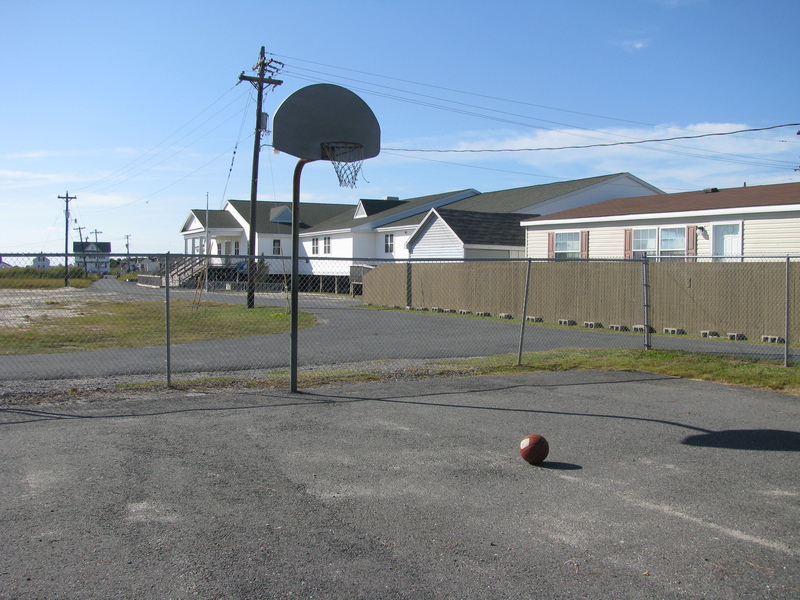 We walked back around to the school and water tower before shooting some hoops on (arguably) the most remote basketball court in Virginia. I’d be remiss not to mention the local dialect, which takes roots in old Southern England. The key is these so called “Hoi Toiders” replace the “eye” sound with “oy”, so expect to hear a lot of “Oiland” speak when you’re there. It’s a lot of fun to listen to locals converse, but you may have a tough time following along. I asked one where to find the grocery store, and at first I thought he was giving me directions to the restrooms. 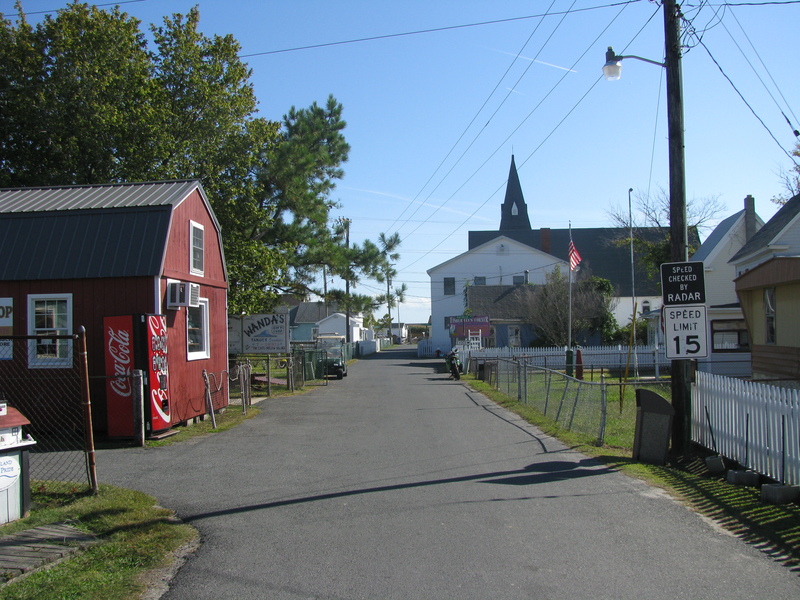 After hand-gesturing my intent to find something to drink (as if I was in foreign lands), he motioned me to the restaurant (not restrooms as I first heard, but the food stand at the dock). After locating the grocery store and seeing that it was closed, I recalled his “Nah, gross,” which must have meant, well, “no groceries today”. 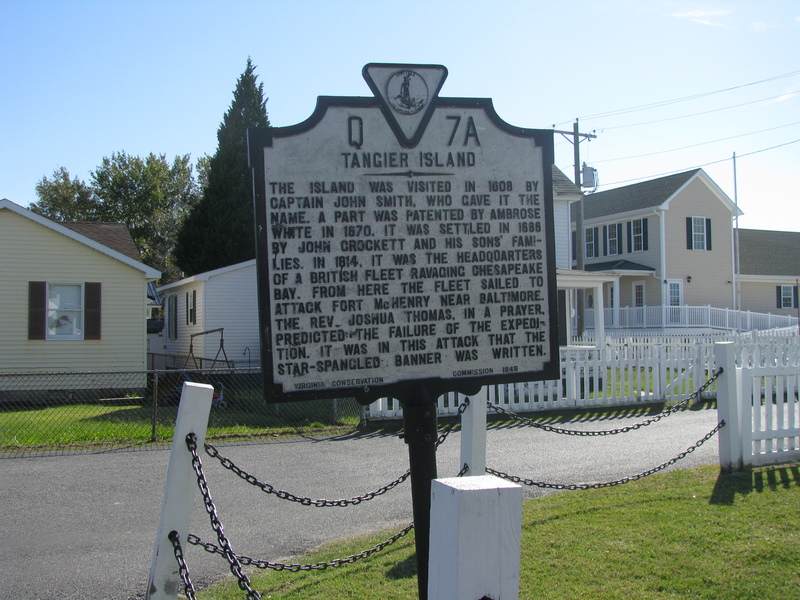 It may be best to wait until next summer, but I encourage all within a 3-4 hour radius of D.C. to plan a short excursion to Tangier Island. It’s an easy day trip and a trip back in time. Really, it’s almost like visiting another country, and you don’t even need your passport. Can you tell what the big industry here is? 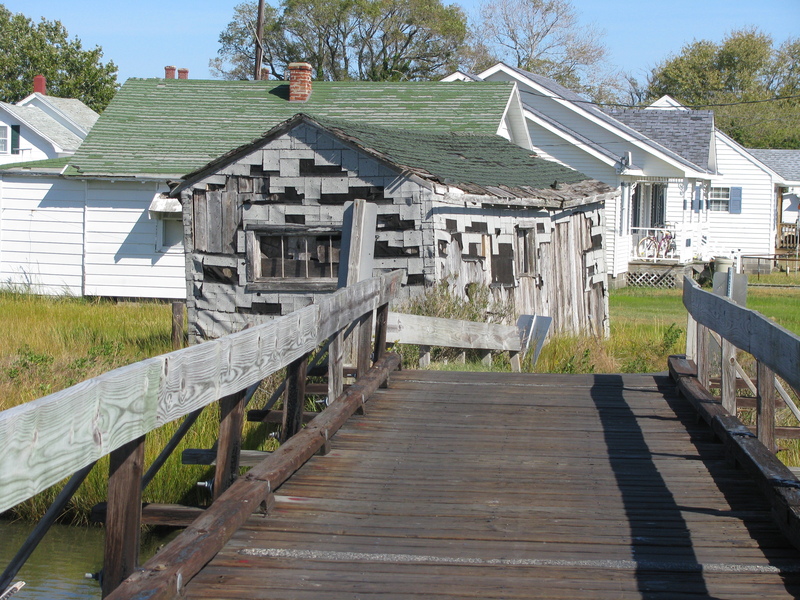 House for sale – a real fixer-upper! “Back” road in Tangier. Yes, there are cars, but the main vehicle is the golf cart. 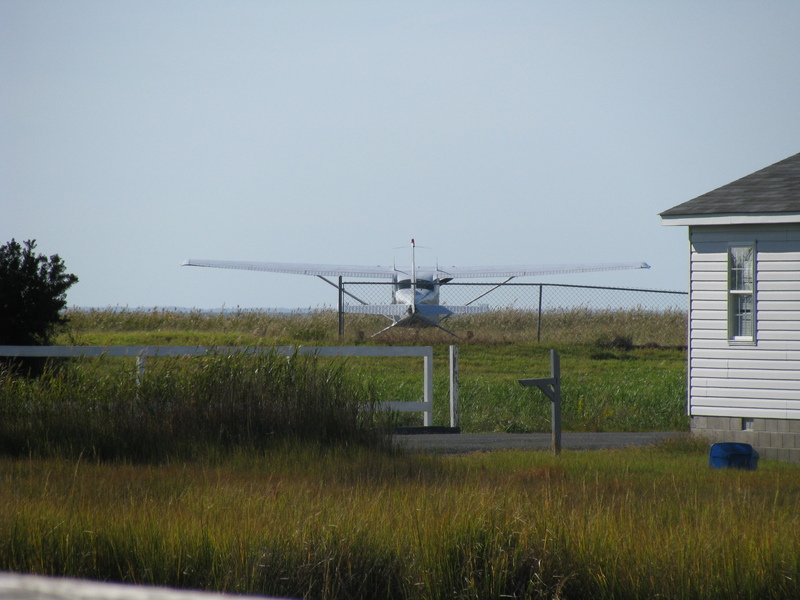 I’ve done that day trip to Tangier Island too! What an amazingly remote place and yet so accessible to the Nation’s Capital. Now I ain’t never stepped on the land I have passed the island nemeruse times wile working on the water. 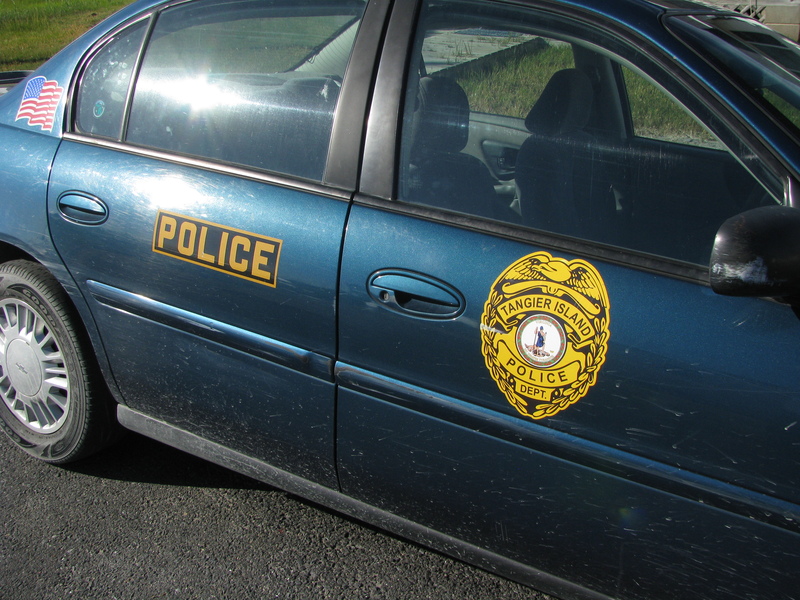 As for it seeming to be another country there are plenty of small county’s in Maryland and even Vergina that could feel purdy close to the same I’d say. Hell even some places in Bmore and DC to some fokes could fall in the same catagory. I think the most important thing would be to respect the ones that call that place ( wherever it may be) home. Or appritiate some of the small things you can often take for granted. I’m sure that was an accurate day to day as was described . ” But then that’s just like ,my oppinion …man “.